The Treasury in keeping with the fuel pricing formula has increased the price of a litre of Petrol 95 Octane by Rs. 2 to Rs. 157, while Super Diesel was increased by Rs.1 to Rs. 130. The price would be in effect until the next fuel price revision on October 10. 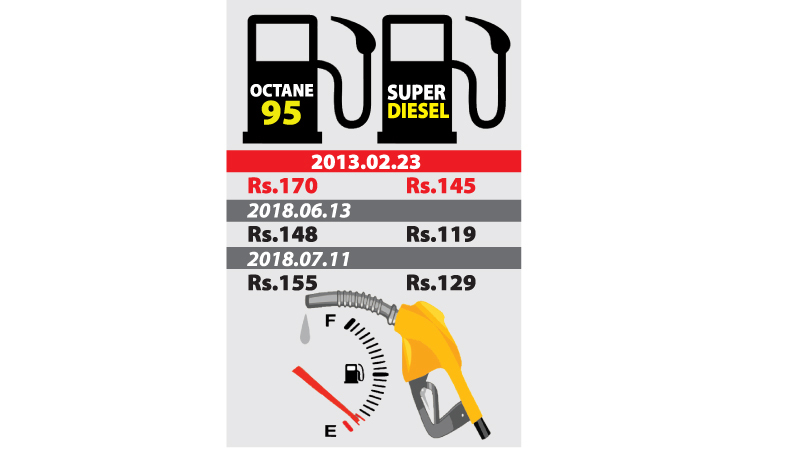 “Due to the instability in Iran and fluctuating fuel prices globally, we have been compelled to increase the price per litre of Super Petrol of Octane 95 and Super Diesel,” Finance and Media Minister Mangala Samaraweera said.